Fire painting is the ancient art to embellish wooden objects with a hot metal. 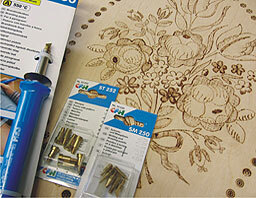 In the finishing of solid wood furniture of pyrography is of great importance. 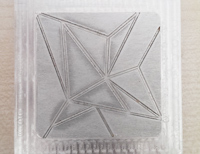 In our store you will not only get the materials necessary for fire painting and accessories, but also a whole range of attractive workpieces. We make the fire painting easy, because the images of all our pieces are marked out with a protected method. In this way, it really is possible for anyone to achieve optimal results. Not only our fire painting materials are exellent to give away, but also the finished products. Take advantage of our seasonal items (Christmas, Easter) in order to decorate your home.